After my first very successful encounter with Bloomsbury Reader (Another Part of the Wood), I quickly downloaded another of their e-books from my library. 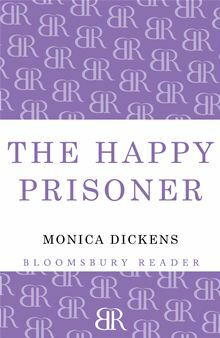 First published in 1946, The Happy Prisoner by Monica Dickens is another gem, an intelligent but light character-driven novel about a wounded soldier trying his best to council his family members through their various crises. How wise Oliver felt lying here, knowing he could run people’s lives better than they could themselves. He had visions of himself as the oracle and influence of the household, but it was difficult to be either an oracle or an influence when people kept going away and you could not get up and follow them and make them listen. Elder sister Violet, horse faced and happier in pants than skirts, finds herself with an unexpected chance at romance. Younger sister Heather, mother of two small children, has been struggling for years as a single parent, ever since her husband was captured as a POW in Asia. Now that he has returned from the East, she is struggling to readjust to the man she once adored but now barely knows. Others bustle in and out of Oliver’s room – a young cousin, an old girlfriend, his brothers-in-law, and, of course, his doting mother – everyone telling calm, steady Oliver their troubles. Everyone, that is, but Elizabeth, Oliver’s invaluable but reserved nurse. What a wonderful discovery this was! I adored my first encounter with Dickens (Mariana) but since then had begun to wonder if she was for me, having had mixed reactions to the books I had read since then. While I don’t particularly enjoy her much-admired memoirs (One Pair of Hands, One Pair of Feet, etc), I really do enjoy her fiction. Dickens’ writing is simple but admirably so. She writes clearly and with great humour and, something I am coming to appreciate more and more, has complete control over the pacing of the story. It never drags or rushes but proceeds at exactly the right rate towards the happy ending. 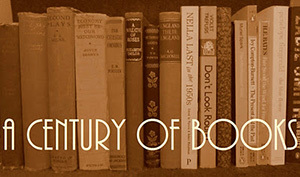 Another great offering from Bloomsbury Reader! I am beyond thrilled that you like this book. It is one of my personal favourites. And because you liked it, I am confident that you will also enjoy The Fancy, which is probably my very, VERY favourite Monica Dickens. Set in a WW II aircraft factory, it follows the lives of a number of the workers as they go through their days. Very nicely done, indeed. I am so looking forward to trying her books – fiction & non-fiction both.